BIG BEAR LAKE, Calif./ June 16, 2011 – Last summer stand up paddleboards (SUP) were among the top requests made by Big Bear Lake guests. 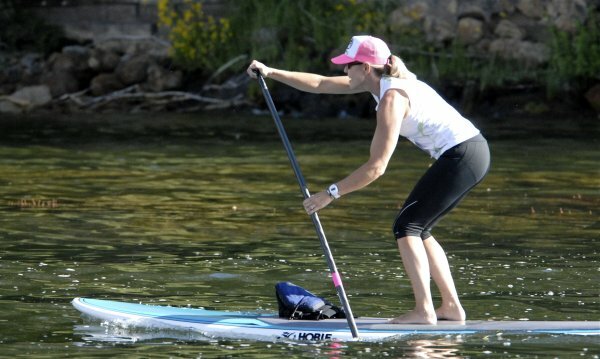 This summer Big Bear Lake marinas are latching onto the hottest water sports trend by offering SUP rentals and lessons to meet those demands. 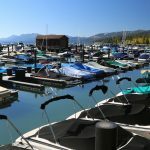 Marina owners attribute the increase in popularity to Big Bear Lake’s calm waters and its natural scenic surroundings. At Big Bear Lake paddleboarders have opportunities to see the lake from unique vantage points and explore hidden coves most boats cannot get to. Stand up paddleboards, commonly referred to as SUP, are long, sturdy boards similar in shape to a surfboard that evenly balance on the water allowing easy access to stand or kneel on the board. Each paddleboard comes equipped with a single paddle to help navigate on the lake. Some of the primary benefits of stand up paddleboarding is it provides a great workout for athletic training, or to just stay in shape. Stand up paddleboarding is known to burn between 600 to 1,000 calories per hour. It strengthens multiple areas of the body including abs, arms, legs and all of the muscles of the back and shoulders. It improves balance, coordination and endurance, too. 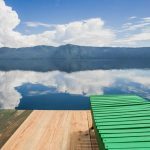 Even though the sport provides great fitness value, the main reason why so many people are attracted to stand up paddleboarding is for recreational pleasure. The 4th Annual Big Bear Paddlefest returns Saturday, July 9 and Sunday, July 10. The multi-paddle sporting event offers a weekend of kayaking, canoeing and stand up paddleboarding. On Saturday, July 9 there are clinics for beginner and advanced paddlers taught by local paddling instructors, boat and board demos with Seda and Necky kayaks and Hobie paddleboards, and an outdoor-industry sports exhibit. SUP, kayak and canoe races are scheduled for Sunday, July 10, and are open to all levels of paddlers. The races include a 30K, 10K, and 5K canoe or kayak, tandem or solo races, and the 10K and 5K SUP races. A Kids’ Fun Paddle is free for 12-year olds and under. 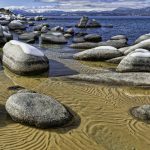 Last year Big Bear Paddlefest introduced SUPs to the paddling event for the first time, which had a noticeable impact on attendance. In fact, the event exponentially grew so much last year that organizers moved the event this year to McDill Swim Beach at Meadow Park on the south shore. The new venue has a larger capacity area for more participants and spectators. 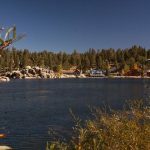 New and used SUPs are available for purchase at The North Shore Trading Company located on the North Shore of Big Bear Lake in Fawnskin. The retail store specializes in lightweight wooden canoes, Kevlar kayaks and canoes, rowing boats, and of course stand up paddleboards. 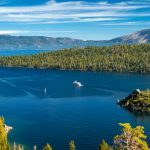 Rentals are available at Captain John’s Fawn Harbor Marina, Big Bear Marina North Shore Landing and Holloways Marina. Captain John’s Fawn Harbor Marina also offers lessons for anyone who wants to learn the hottest water-sports craze.